Ted is excited to be starting classes back up and has been energized from his recent work in A Bronx Tale. He is looking forward to bringing back what he has learned working with the best in the business to his studio. Full details and registration can be found on the class page. Greetings, My Los Angeles Colleagues! Please know I have been thinking of you almost every day during this process. I look forward to returning to LA next month and sharing all of the inspiring lessons and insight I have been experiencing and formulating during my work on this amazing project. It was so wonderful to have Connie be at Opening Night Performance and Party. I hope 2016 is off to an inspired and productive start for each you. Please know we are at this moment scheduling a Spring Session. Info coming soon! I look forward to sharing the fiercely inspiring, insightful, and immediate lessons from the front line with you! 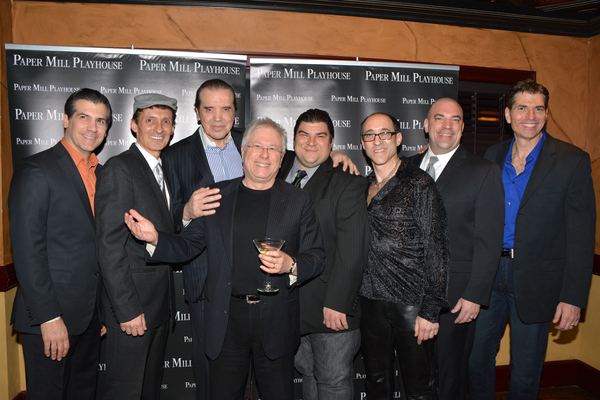 Thinking of you and sending my best as we now complete the final three weeks of this current run of A BRONX TALE. Sending You My Best from NYC!